Mirna Lekić is a Bosnian-American pianist active as a recitalist, chamber musician and educator. Praised for her “intelligent and sincere pianism” and “natural inventiveness and emotion,” she has performed in the United States, Canada, and Europe, at venues including New York’s Carnegie-Weill Hall, Symphony Space, World Trade Center, Chicago Cultural Center, St. Martin-in-the-Fields in London, Théâtre de l'Ile Saint-Louis, Théâtre de la Vieille Grille, and Accueil Musical series in Paris, and the Hall of the St. Petersburg Union of Composers and the Gorky Leninskiye Museum in Russia. Her solo performances have been broadcast on WQXR, WNYC, WFMT, WPRB, and Bosnian TV and radio stations, and her recent publications include two critically-acclaimed recordings: a solo album, Masks (Centaur Records), and Eastern Currents (Romeo Records), a disc of contemporary chamber music. 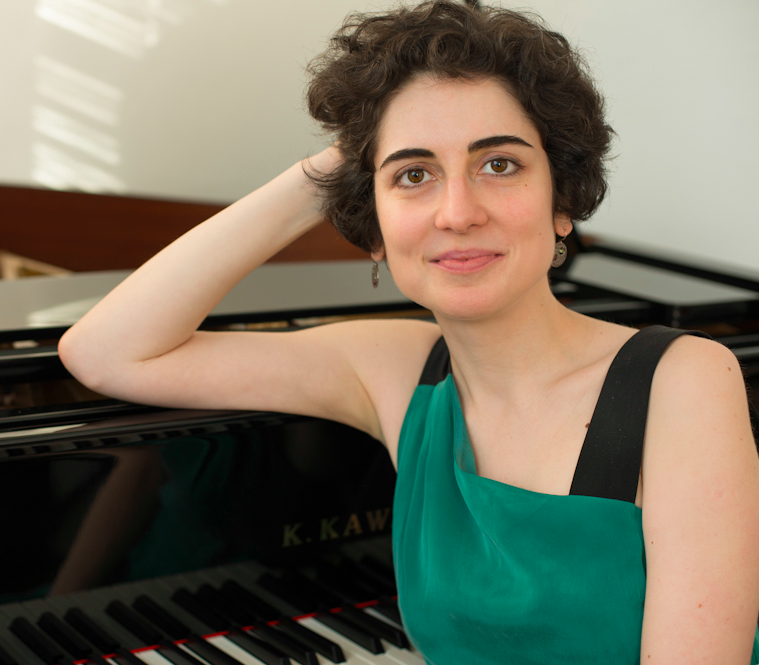 Most recently, Mirna was a laureate of The American Prize piano competition. Ms. Lekić plays a wide range of repertoire that reflects her interests in historical performance practice, particularly works for fortepiano, as well as in new music, celebrated through commissions and premiere performances. A founding member of Ensemble 365 and Duo RoMi, she has presented premieres at the Queens New Music Festival, Princeton University Sound Kitchen, International Festival for Contemporary Performance, the Firehouse Space, College Music Society Conferences, Composer’s Voice series in New York, and in collaboration with Dr. Faustus and the Composers Now Festival. A recipient of the New York Foundation for the Arts Artist Grant, Artists International Special Presentation Award, City University of New York Music Fellowship, NEH-Kupferberg Holocaust Center grant and multiple PSC-CUNY awards, Mirna has presented lectures and master classes at the Mannes College and Manhattan School of Music, and has served both as a board member of the Piano Teachers Congress of New York and the chairperson of its Honors Program Young Artist Competition. Her piano students have won recognition at various competitions, festivals, and Royal Conservatory exams, and have continued their studies at selective universities and music schools. Mirna’s recent pedagogical publications include two chapters in Humanistic Pedagogy Across the Disciplines: Approaches to Mass Atrocity Education in the Community College Context, edited by Amy E. Traver and Dan Leshem. (New York: Palgrave Macmillan).